With the fall season ahead, the scenery around you will begin to take on a drastic change from the drab and dull colors of the typical American neighborhood to an array or oranges and reds meshed around the iconography of skeletons and pumpkins. 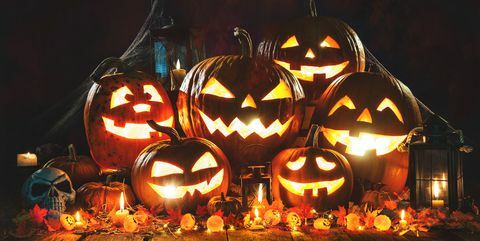 Halloween is quickly approaching and whether you’re going off and trick or treating with the kids, staying in or hitting up a party with friends, there’s always a desire for some movies that fit the season to get everyone in the scary mood. Some will only consider the more classic movies one would watch for the holiday season but let’s focus on some lesser known movies from the genre. First off is “The Endless”, a science fiction horror film lead by independent directing duo Justin Benson and Aaron Moorhead. The film fits closer to a more existential idea of horror, the fear of the unknown. The leads, played by Benson and Moorhead, are ex-cult members who are coerced to visit the cult they once came from and encounter a force that has control over the surrounding area. The direction is impressive given its low budget nature and the actors deliver A-class performances. Benson and Moorhead know how to get the absolute best with very little as seen with their previous films “Resolution” (for which “The Endless“ serves as a pseudo-sequel) and “Spring”. Another film to consider viewing is “A Cure For Wellness”, directed by Gore Verbinski who is best known for the first three “Pirates of the Caribbean” films. The 2017 release flew under the radar upon its theatrical run, being a financial failure at the time but has gained a following since. The film focuses on an executive named Lockheart, played by Dane DeHaan, who is sent to a castle-turned-rehabilitation center to retrieve a missing colleague. Lockheart soon finds himself questioning his own sanity as he’s swept into the bizarre castle and meets a mysterious woman who is looked after by the head doctor. The strengths of “A Cure For Wellness” come from its gothic visuals and stellar cinematography all wrapped around a chilling story that will undoubtedly make any viewer squirm in their seat. “The Autopsy of Jane Doe” was a release from 2016 that jumped around the film festival circuit, receiving mass acclaim and praise for its director, André Øvredal who had previously directed the found footage film, “Trollhunter”. A father and son work together as coroners who upon examining the body of an unidentified woman, the titular Jane Doe, begin to experience supernatural events that turn deadly. This is definitely a film to watch if you’re alone on Halloween night. It’s an unsettling experience that will fill one with creeping dread and may even make you afraid to walk around your own home with the lights off. You also may never hear the song “Open Up Your Heart and Let the Sun Shine In” the same way again. That’s enough though about ghosts and existential dread, what if you prefer something a bit simpler and bloodier? Then the 2012 remake, “Maniac” might just be for you. “Maniac” sets itself in a first-person perspective of a brutal serial killer, played by a shockingly perfect Elijah Wood, and his exploits as he tries to push back the desire to kill once he meets a woman named Anna. I must advise this is not a film for the easily queasy. The brutality in the murders are not held back and could disturb some viewers. Those willing to brave the warnings will find a surprisingly complex story in such a simple idea, held together by the amazing soundtrack and excellent performance from Wood. Finally, there’s “Trick ‘r Treat”, easily the most “Halloween” film of the bunch. The film went through a tough path to release back in 2009 when it finally hit the home entertainment arena but it became a cult hit. “Trick ‘r Treat” is an anthology film that has four primary stories that are all in some way connected to each other as they’re set in the same town on Halloween night. It features everything from serial killers, werewolves, swamp zombies and an adorable ancient spirit named Sam. Directed by Michael Dougherty (“Krampus”, “Godzilla: King of the Monsters”), the film has a lot of witty entertainment to it. Things never get too terrifying or bogged down in a serious tone to devalue the fun of it all. It’s infinitely rewatchable and will undoubtedly become a Halloween favorite for many in the coming years. It’s perfect for group watching. Hopefully, you’ve found some films that you will consider giving a watch this upcoming holiday season or maybe even saw one or two personal favorites. Great recommendations James and very insightful critique! Happy bloody Halloween!